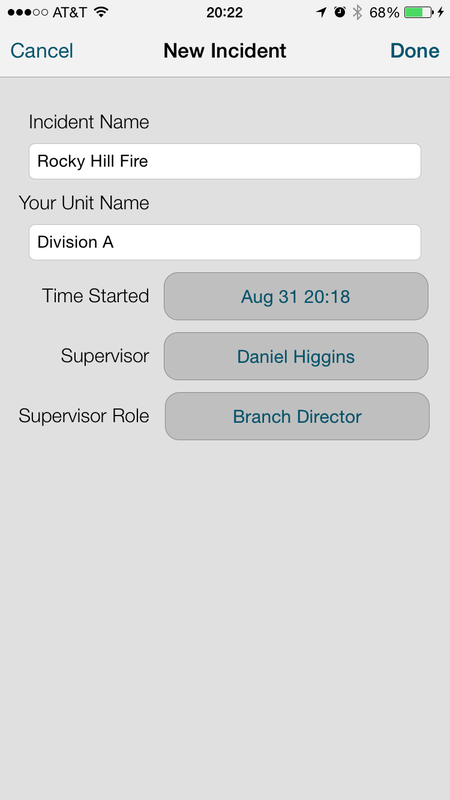 InciNotes is the first iPad application specifically designed with Public Safety Incident Commanders in mind, providing a simple and effective means of documenting incidents according to the national ICS-201 system. Developed in conjunction with a retired Angeles National Forest commander, InciNotes provided valuable technology and guidance to make sure procedures were executed and documented in the most professional manner possible. A natural extension of InciNotes, the ICS-214 application brought the documentation capabilities to all personnel involved in an ICS-201 incident. Developed for all iOS devices -- not just iPads -- the ICS-214 app was affordable enough for any budget. One of the first applications on the iOS App Store, iE6B provided handy calculations that pilots needed on the brand new iPhone platform. Easy to visualize Wind Correction and Crosswind Components functions gave pilots intuitive understanding of the forces acting on their aircraft. Simple unit conversions and weight-to-volume conversions for fuel gave pilots a one-stop shop for pre-flight planning. Complete input and output unit preferences let pilots all over the world enjoy the app. Due to time constraints and many alternatives providing superior feature sets, iE6B is no longer available on the AppStore. The BirdsEyeView Configurator v2.o application provided an easy-to-use interface for customizing the thousands of possible combinations of photo-realistic scenery. The original Configurator application, developed by a previous developer, leveraged the (then) new .NET Platform, which caused some undue controversy within the BEV community. Version 2.0 was a ground-up rewrite based on the native Win32 API.